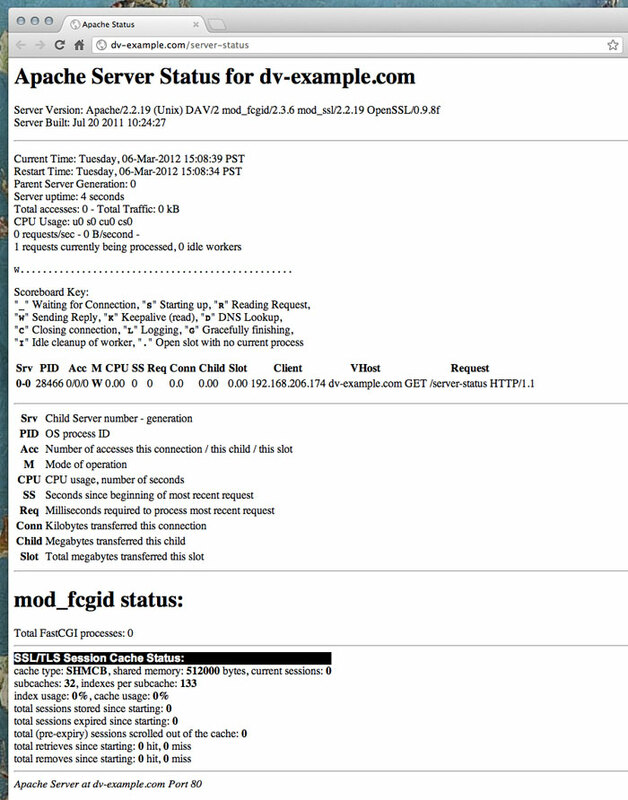 The status module allows a server administrator to find out how well their server is performing. An HTML page is presented that gives the current server statistics in an easily readable form. For more information on this Apache module, please see http://httpd.apache.org/docs-2.0/mod/mod_status.html. On your DV server, you can enable this section in your httpd.conf file. This is located at /etc/httpd/conf/httpd.conf. # Change the ".dv-example.com" to match your domain to enable. Navigate to your website at http://dv-example.com/server-status and you should see a page similar to the image below.